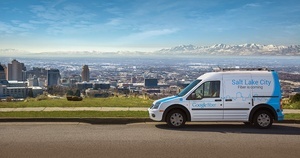 Google has announced that Salt Lake City, Utah is the next lucky city to get access to Google Fiber Internet and TV. The Internet service, which offers 1 gigabit download speeds that are on average 40 times faster than average cable connections, is currently only available in 7 regions. Google says the city is now being fitted for fiber-optic cables and the build out is expected to be completed by the end of the year. Earlier this year, Google began rolling out cable in Atlanta, Charlotte, Nashville and Raleigh-Durham. Google Fiber is already live in Kansas City, Austin and Provo.